Growing Meadows: Big News for Growing Meadows! Big News for Growing Meadows! GUYS! I have been keeping ANOTHER big secret from you! After months of work and preparation, I am thrilled to announce Growing Meadows will begin carrying a line of polymer stamps in the shop VERY soon! I want to introduce you to the first set today. I will also be giving one of these sets away on instagram later this week so be sure to watch for that! "Saltiness and brightness are not qualities the salt and light determine about themselves. They are qualities determined by their maker. Their purpose is placed within them; it’s not something they muster up by trying harder. simply a matter of being who God created us to be. The light we shine should be His light. The flavor we add should taste distinctly of the Gospel as He taught it." I want to encourage you to get with God, find His purpose for you and then GO FOR IT!! God places dreams in our hearts and talent in our hands for a reason, folks. If we can draw near to Him, He will be faithful to show us His plan for our lives and it will be better than anything we can come up with on our own! 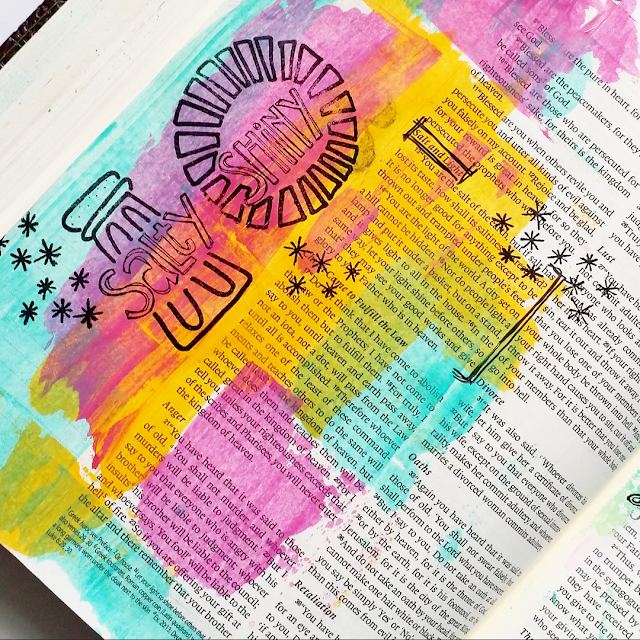 I designed this stamp set in hopes that you will be inspired to dig in to The Word and find your own saltiness and your own shininess. So here is the big reveal and I promise to show you more of these stamps in action this week in preparation for the upcoming release to the shop :D SOON! I PROMISE!! Love this stamp set and your work is always beautiful!! So cool!! I LOVE it!! Sign up for the Growing Meadows Newsletter for Exclusive Freebies! A new take on Hope - Expect it! Visit Tai Bender's profile on Pinterest.